I was introduced to today's guest by a very dashing doctor from Edinburgh who calls in now and again for tea and crumpets, royal health problems permitting. He is a man of few words but many entertaining tales and knows all the folk worth chattering about from that part of the world. So, far away from banks and boat races, it's time for a jaunt north of the border to pass the time of day with another man of letters. Born the son of a town clerk, John Home was a pupil at Leith Grammar School before moving to the University of Edinburgh. A keen and intelligent student, he graduated at the age of 20 with two possible career paths in mind, his future life torn between church and military. 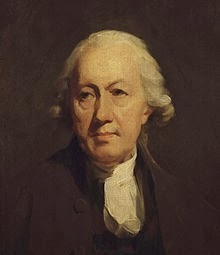 Exploring his options, Home plumped for a study of divinity and joined the presbytery of Edinburgh in 1745. However, the lure of a more exciting life proved too tempting and later that year he volunteered against Bonnie Prince Charlie. Home was a loyal soldier but not a particularly successful one and he was one of many men taken prisoner after the Battle of Falkirk in 1746. The prison of Doune Castle could hardly hold the volunteers though and when some of the prisoners made their escape, Home was among them. His experiences against Charlie fresh in his mind, Home decided to try a less dangerous path and instead took a position as minister in Athelstaneford, East Lothian. Enjoying the pastoral life he devoted his time to writing and in 1747 completed his debut play, Agis: A Tragedy. 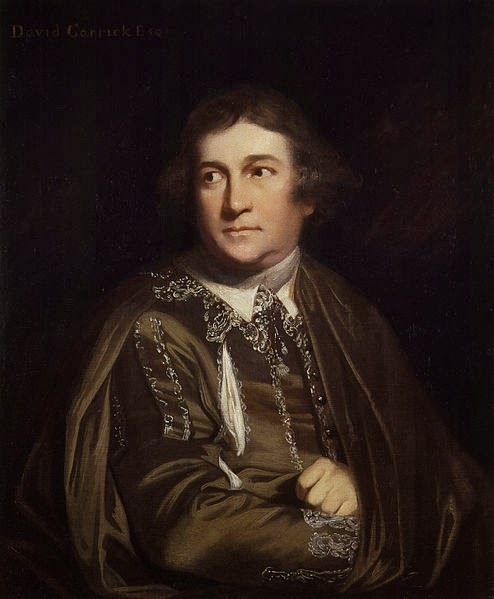 As far as the new author was concerned, this was the play the theatre was waiting for and he travelled to London and held a meeting with David Garrick, certain that the theatrical impresario would jump at the chance to premiere the work. In fact Garrick rejected the play out of hand, seeing nothing on interest within its pages. Undaunted, Home was back in London five years later with a new play, The Tragedy of Douglas. Once more he met Garrick and once more he was dismissed but this time the playwright returned to Edinburgh with the intention of debuting the work in Scotland instead. Garrick's rejection was to prove meaningless to the people of Edinburgh and when the play open in December 1756, they flocked to see it. Home was suddenly famous, his work celebrated and he returned to London in triumph the following year to see The Tragedy of Douglas open to enormous acclaim. The play proved controversial to the presbytery in Scotland and Home resigned his position as minister and instead devoted himself to a life of letters. He became secretary to Lord Bute and enjoyed influence and position at court. Most pleasing of all though, in 1758 Garrick ate his earlier words and produced Agis in London. It was to prove a misjudged decision and the play closed within a fortnight. Subsequent plays were equally underwhelming and the disappointed Home returned to his first love, the military. Tragedy struck in 1778 when, serving with the Duke of Buccleuch, Home suffered a serious fall from his horse. As a horsewoman myself I've had one two most ungainly spills but they paled in comparison to that experienced by out hero, who suffered ongoing problems from a brain injury sustained in the accident. He retired from public life and took up residence in Edinburgh, where he continued to study and write until his death at the ripe old age of 86, having enjoyed a long and fruitful social life alongside his more learned pursuits!